Eureka Springs Days Inn – The Best Value Under the Sun! Our relaxing back deck takes you away from it all! Away from road noise and surrounded by lovely Ozark woodland, the Days Inn offers classic Arkansas hospitality with 24 scenic rooms. Our location offers a quiet, relaxing stay away from the highway. Come visit us where the neighbors are deer, squirrels and chipmunks. Our staff will be happy to direct you to our recommended restaurants. We can also help you plan your site seeing day, choosing from among the many activities that Eureka Springs has to offer. Catch the trolley on site to our many area attractions, or take a short walk to the historic downtown area of Eureka Springs to visit shops and restaurants. The Trolley will take you to downtown Eureka Springs. We are within a few minutes drive of music shows, two convention centers, and many area lakes and walking trails. We are very proud of our Days Inn Chairman’s Award for Quality and Service (received every year from 1998 to present), our Tripadvisor.com top rating award, and our AAA approval. The Day’s Inn offers double, queen, and king size beds. Ask our staff about rooms that offer Jacuzzis for two, (perfect for weddings or anniversaries), or rooms on the back deck facing the forest (call early because these rooms go fast). We have smoking and non-smoking rooms, and for Bikers, we provide covered parking for their motorcycles. All rooms have refrigerators and microwaves, free high-speed wireless internet, 32″ remote cable TV with free HBO, coffee makers, hairdryers, AM/FM alarm clocks, and irons and ironing boards. We offer free local calls, and children age 17 and under stay free. You can sleep peacefully on our new Sealy pillow top mattresses, and in the morning, you can enjoy a free continental breakfast. 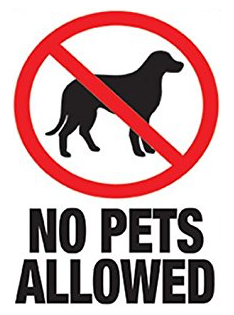 All rooms are pet free. Eureka Springs Days Inn is Biker Friendly! We offer a place to clean you bike and cleaning rags. We have a large back area for motorcycle trailer parking. Please call us direct in order to get a room where you can pull your bike in front of your room. Planning on a long ride? Book a Jacuzzi Room to help you unwind after hours on the road.